Glasgow’s only distillery Auchentoshan has recently introduced Valinch, their newest edition of single malt whisky. 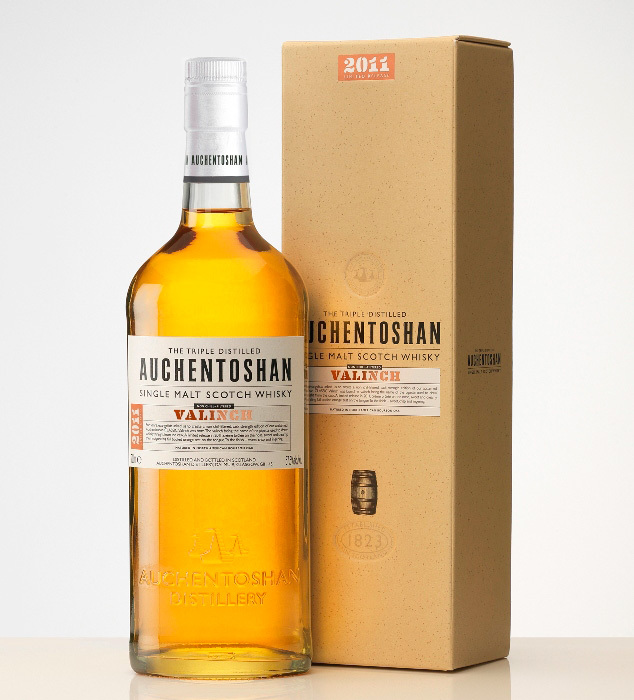 A cask strength edition of their classic scotch (rated at a highly potent 115-proof), Auchentoshan’s Valinch is named after the pipette used to draw whisky straight from the cask. The Lowland distillery’s spirit is triple distilled — Auchentoshan being the only Scottish distillery to do so — which results in Valinch’s pale straw color. The Valinch single malt scotch whisky will be released in small batch for about $60 a bottle.